Before 1809, all net fabrics were made by hand. After that year, the machine was invented that allowed people to create the net in an easier way. 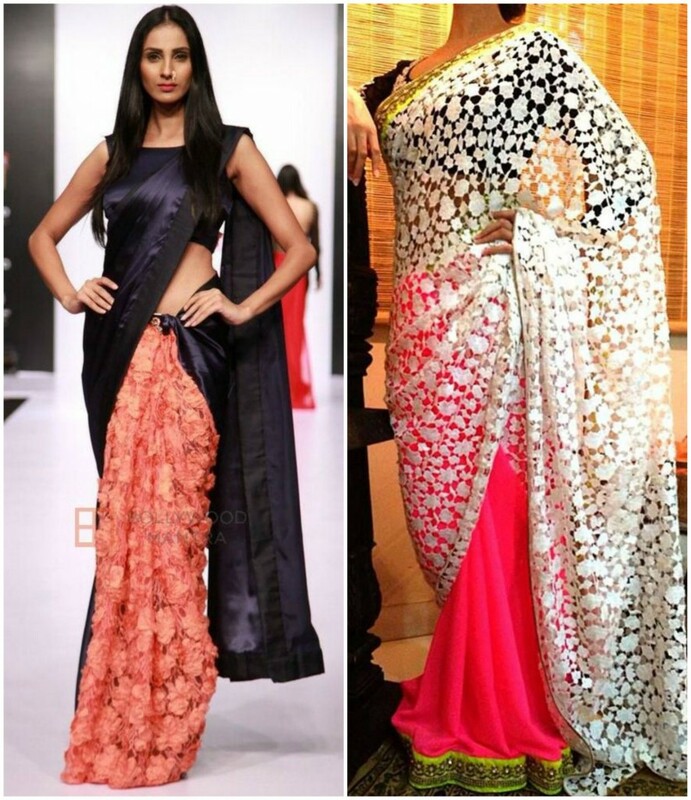 Several Bollywood actresses like Preity Zinta, Katrina Kaif, and Kareena Kapoor have donned various saris or dresses made out of the net fabric, which look beautiful and fashionable at the same time. Fabrics like cotton, wool, and silk have also been in comparison with Net fabrics. However, the westernized look along with the traditional as well as comfort essence of this fabric makes it a winner. 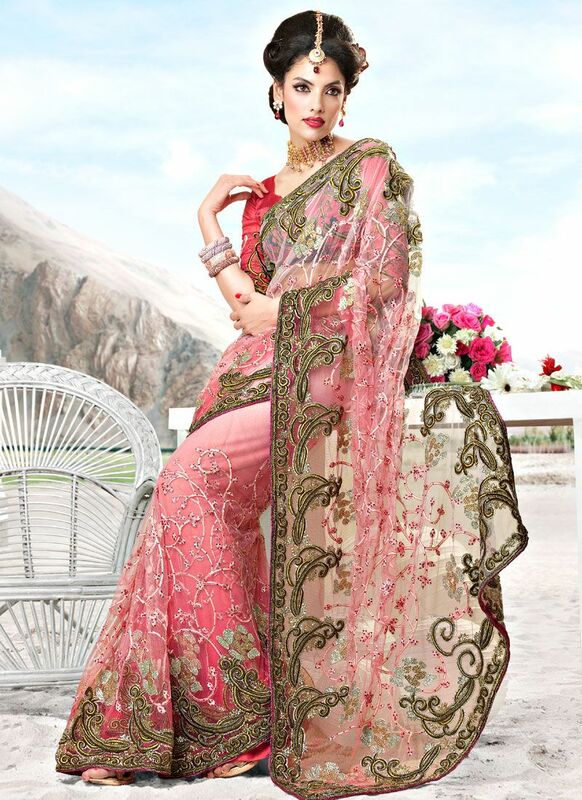 In order to get the perfect saree look, it is important to create a perfect ensemble. This includes jewelry, accessories, blouses, and styling. 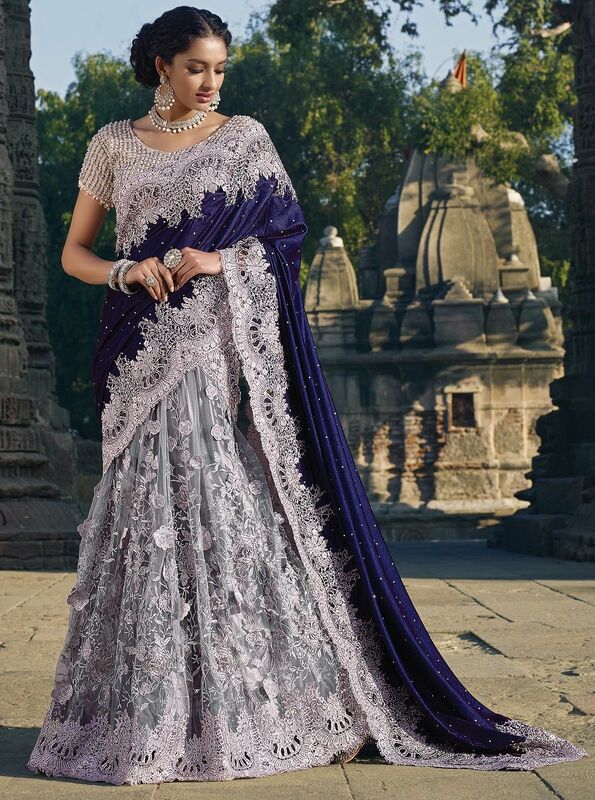 Saree information does not end with finding the right saree for one’s body type; in fact, that is just the beginning. Choosing the right blouse is just as important. It can make or break the look. This is one of the least acknowledged Indian sari facts. For instance, many women love wearing bold and glamorous deep-cut or back-less blouses. 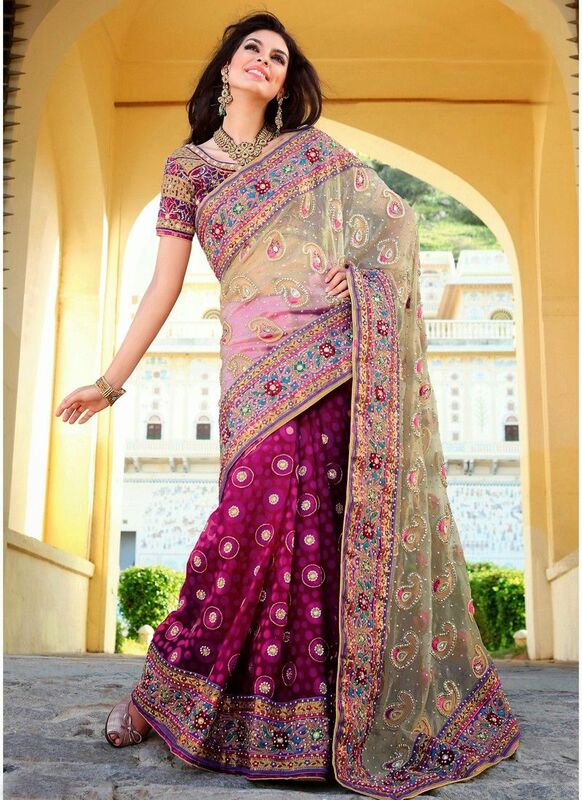 However, there are only certain types of sarees, such as net sarees, tissue sarees or chiffon sarees that they would pair well with. With heavy, traditional options like the Kanjivaram or Banarasi sari, a traditional silk blouse in a matching shade would be a better option. 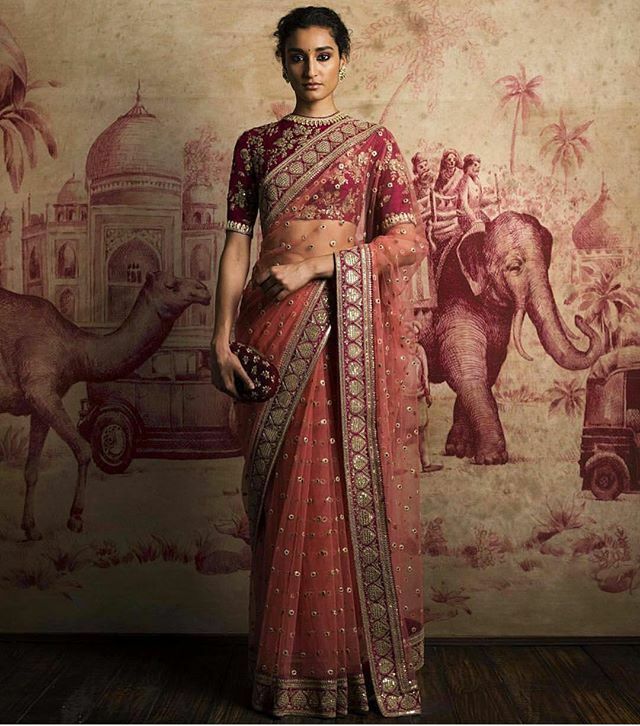 It is also important to create an aesthetic balance by harmonizing the work on the sari and the blouse. In terms of styling, Indian earrings, necklaces, and bangles are the best options. 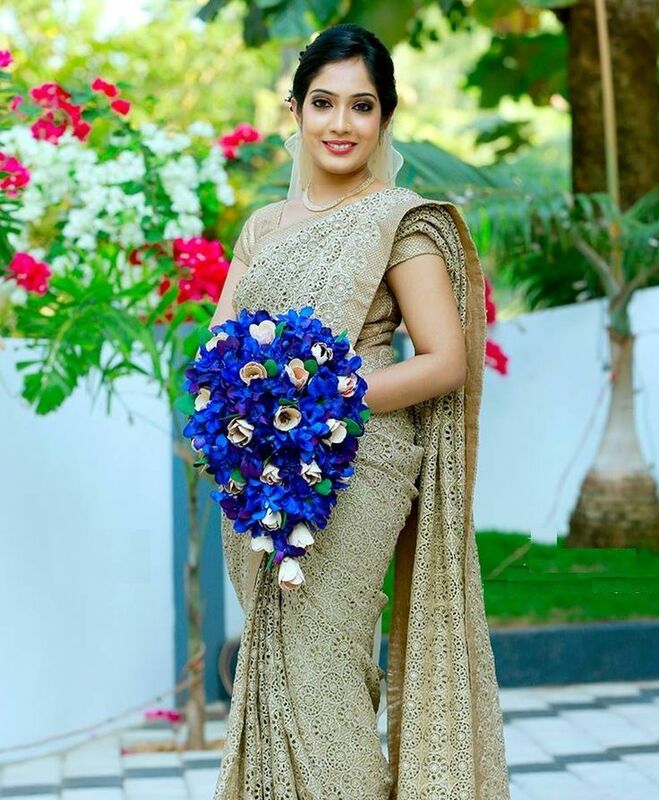 With traditional saris, classic Kundan or Polki jewelry can be worn while with trendy, modern sarees, glamorous modern jewelry like dangling earrings or diamond bracelets can be worn.